A statewide healthy food conference will be held in Salina this week. 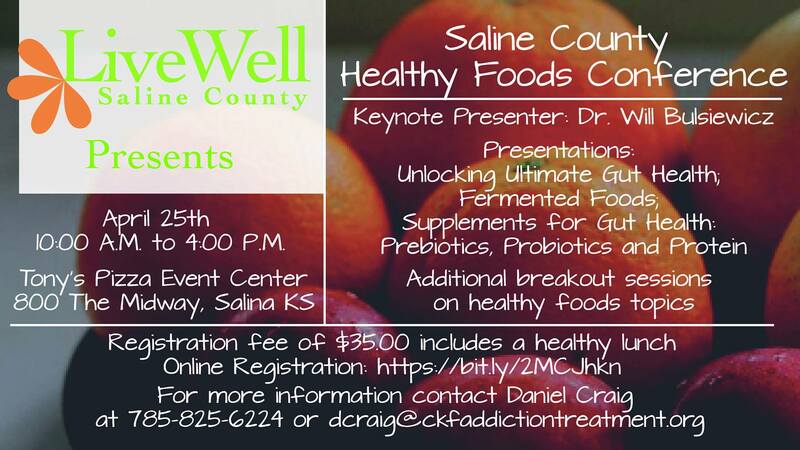 The Saline County Healthy Foods Conference is Thursday. Organizers say a renowned health expert will be one of the highlights of the event. Dr. Will Bulsiewicz will be in attendance. Dr. Bulsiewica is a motivational speaker, blogger, and microbiome specialist. Dr. Bulsiewicz is a practicing gastroenterologist and gut health expert. Along with a presentation by Dr. Bulsiewica, additional breakout sessions will include Telling the Local Foods Story and Implementing Healthy Foods Initiatives in your Community. Natalie Fullerton with the Kansas Rural Center, Ryan Lee and Ross Daniel’s with the Public Health Law Center, and Ashley Jones-Wisner with KC Healthy Kids will participate in breakout session as speakers and panelists. 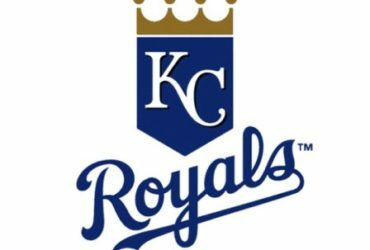 There are a limited number of scholarships available for cancer survivors via funding through the Kansas Cancer Partnership. This state-wide conference is sponsored by Live Well Saline County. It will be on April 25th at the Tony’s Pizza Events Center. “Gut Health” is such a hot topic in 2019 but what does it really mean and where should you begin? During this lecture, gastroenterologist and author Dr. Will Bulsiewicz will walk you through the cutting edge research of how gut health affects not just your digestion, but health throughout your entire body. He’ll offer simple, actionable steps that you can take to heal your gut and improve your health. Are you a fermentation veteran or just curious and not sure where to start? Either way, this lecture is going to change the way you think about your food. You’ll learn about the celebrated traditions of fermented food, how they helped us through the course of human history, and how they can help us in 2019. As part of the presentation you’ll learn Dr. Bulsiewicz’s own recipe for homemade sauerkraut. Is there a role for supplements in optimizing gut health? Absolutely! In this lecture, Dr. Bulsiewicz will walk you through the many varieties of gut health supplements, including probiotics, prebiotics and proteins. By the end of the lecture you’ll confidently know how to shop for and use these products. Dr. Bulsiewicz will even share his favorites and which ones he uses personally.